Two instructors from the Meridian Technology Center STEM Academy have been recognized as a Project Lead the Way(PLTW) Outstanding Teacher. Stephanie Hara, Biomedical Sciences instructor, and Mark Thomas, Pre-Engineering instructor, were among the more than 40 educators from across the nation recognized for their commitment to empowering students in PLTW programs. They will be recognized for their achievement at the PLTW Summit in Indianapolis, Indiana on February 17-19, 2019. PLTW is a nonprofit organization that provides a transformative learning experience for PreK-12 students and teachers across the U.S. PLTW empowers students to develop in-demand, transportable knowledge and skills through pathways in computer science, engineering and biomedical science. Instructors who receive this award have demonstrated a strong record of delivering an inspiring and empowering student experience in the classroom, engaging students in project- and problem-based learning, and expanding access to career learning. Hara is a registered nurse with 17 years of experience in the health field. She began teaching at Meridian in 2011 in the Clinical Lab Assistant program. 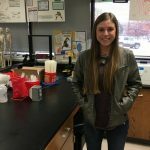 In 2015, Meridian transitioned to PLTW curriculum and Hara became one of two Biomedical Sciences instructors in the newly established STEM Academy. During that same year, she became a National Health Science Master Teacher. 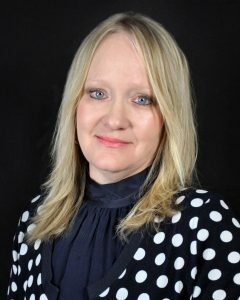 In 2016, Hara was the Oklahoma Association for Career and Technical Education’s Health Division New Teacher of the Year. Earlier this year she earned the PLTW Master Teacher Apprentice designation in Medical Interventions. In addition to her roles at Meridian, she volunteers as a nurse for the Stillwater Community Clinic. Thomas has been a National Board Certified Teacher in Adolescent Young Adult (AYA)/Math since 2000 and previously served as a trainer and assessor of National Board candidates for several years. He has earned numerous state and district honors, including Oklahoma Teacher of the Year Finalist and Mathematical Association of American’s Teacher of the Year for Oklahoma/Arkansas. In 2013, Mark received the Presidential Award for Excellence in Mathematics and Science and traveled to the White House to receive this prestigious award from President Obama. 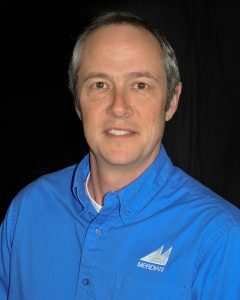 He has recently been honored as a PLTW Master Teacher of Computer Science Principles. He has taught for 25 years. 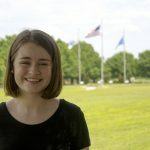 The PLTW Biomedical Sciences program that Hara teaches introduces high school students to medicine and human body systems, preparing them for careers in medical and health-related fields. 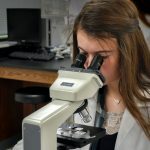 Working with the same tools used by professionals in hospitals and labs, PLTW Biomedical Sciences students step into the roles of medical investigators, surgeons, microbiologists, geneticists and biomedical engineers. Thomas’ PLTW Engineering program engages high school students in collaborative, real-life activities like working with a client to design a home, programming electronic devices or robotic arms or exploring algae as a biofuel source. As students work together to imagine and design solutions to local and global challenges, they test their limits and question what’s possible.